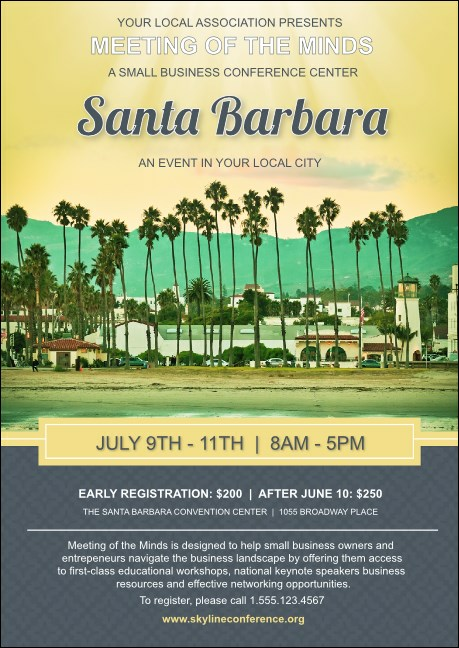 Send the right message for your next event with the Santa Barbara Club Flyer. Features a stunning California coastal scene in soft colors, with sun pouring over the Santa Ynez Mountains and onto a lovely warm, sandy beach. Describe your event details over a tranquil blue background. Mission Accomplished with easy event planning for your SB event! Raise awareness of your Riviera fiestas with the right club flyer from TicketPrinting.com.